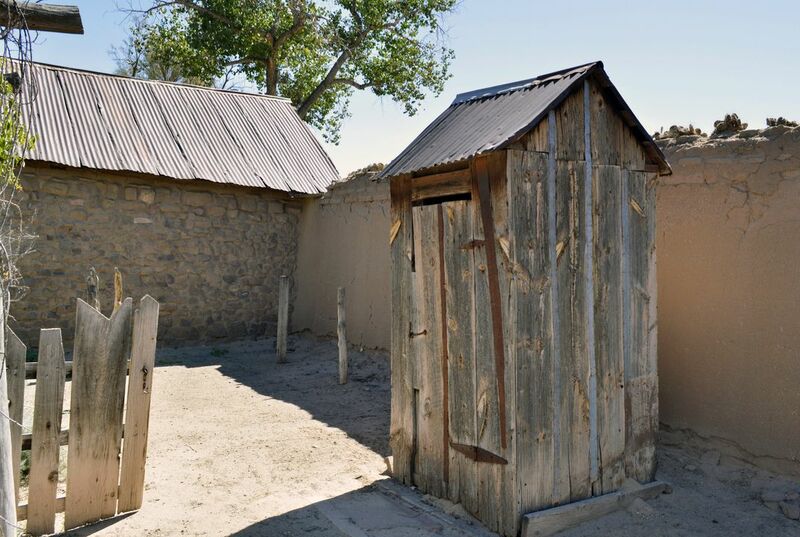 At a time when life could be harsh in the American Southwest, outhouses served more than one important role. They provided structure, protected water resources and created important social norms, a New Mexico professor says. Many of the aging wooden structures still dot the landscape in the region and across the Great Plains. Richard Melzer, a University of New Mexico-Valencia history professor, wants to see the iconic buildings preserved. That's before they're gone from the memory and legacy of the Old West. Melzer has been researching the historic lavatories. He hopes his work will encourage outhouse conservation efforts since they helped modernize areas like present-day New Mexico amid drought and limited plumbing. A late 19th century outhouse is a feature of the Casa San Ysidro: the Gutierrez-Minge House, a home in Corrales, New Mexico, owned by the Albuquerque Museum. The home's origins go back to the 1870s. They pervaded structure. Helped store water resources and supplies. This also effects religions and other important things. Such as studying things of history. I think that the outhouses have some valuable meanings and symbols to people. They contain ancient artifacts and some tools. I didn't know that the outhouses were used for many different purposes for mainly people who lived in or like the Old West. The outhouses serve as a memory for many people and probably will be for a long time. I don't think that it is right to have these old houses to have respect because they are old and worn out houses. I think that having these people do this is just wrong. I hope these people that they can change their mind and they can be able to learn about that houses that old and dumb are weird and they don't need respect. It is pretty cool that they are gaining respect because not a lot of people use them anymore or even like them because they are old and creepy. 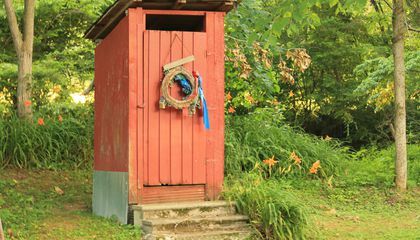 Purposes that outhouses served were personal hygiene, they provided structure, protected water sources, created important social norms, and showed how wealthy one might be. This article interests me because outhouses seem as if they have played an important part in history for a long time. I chose this article because at my kindergarten, in Sweden we had an outhouse. I believe the outhouses do give a lot of historic artifacts and information. I was surprised of how many outhouses are still preserved because of how long ago they were built. I also do hope that state starts using outhouses more to cut back on plumbing bills. As in the mid west, outhouses are still very common in the south east. Although we never use it of course, there is still an outhouse present on my family farm (est. 1897) in eastern Kentucky. It is a simple two room building with a wash room on one side and a one hole toilet, if you will, in the other.